what kind of external enclosure can you buy for this hard drive? 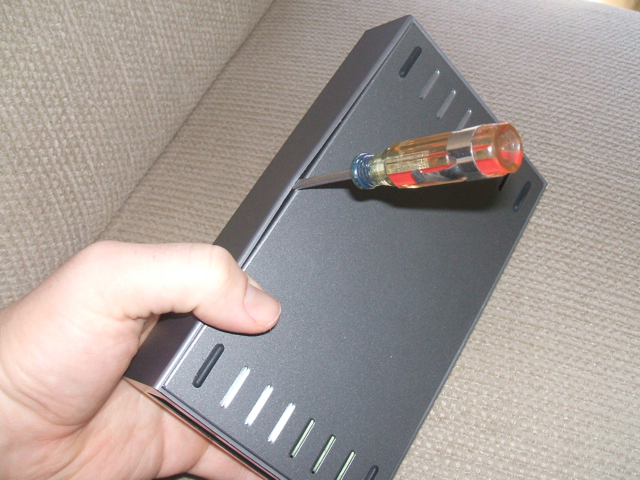 You should be able to transfer the drive into any standard PATA/IDE external enclosure. Glad to help out… the Lacie unit contains a standard desktop hard drive, so it’s 3.5″. I have got a few La cie Porshe 250gb firewire. Can I replace the drives by bigger (500gb, 1tb, 2 tb? ), would it be supported? What drive type is in this enclosure? ATA, SATA, PATA, IDE? I don’t want to say with 100% certainty that a larger drive can be installed, as I haven’t tried it. I can’t think of any reason, though, why it wouldn’t be possible as long as it’s an IDE drive. Wonderful site. Lots of useful information here. I’m sending it to several pals ans also sharing in delicious. And obviously, thank you for your effort! thank you for this, what is the thin cable that doesn’t seem to connect to anything for? If it’s the trio of the red, green, and black cables you’re referring to, it’s just the activity light that attaches to the front of the housing. Thanks for the question… let me know if you have any more! Hello ! I just got as a birthday present the Lacie Porsche design 1 tb p’9223 drive. It’s a 2.5 inch unit. Any ideas how to open up this beauty ? Thanks ! Hi, Eli! I’ve never dealt with a drive of that design before, but I will look around to see if I can find any resources that might help you get that case open. I did a search for disassembly of that drive and didn’t have any luck finding any results…sorry ’bout that. I guess that shouldn’t surprise me, though, since this post was created when I couldn’t find anyone explaining disassembly of the rugged drive. Best of luck! thank you, this help me a lot, but in my case there are not the 6 aluminum brackets. Interesting… they must have changed the design a bit at some point during the production run…. glad to hear it still helped out, though. Thanks for the comment! Thanks so much for the instructions on dissassembly of this Lacie Porsche drive unit. I would have torn it up getting it apart without this help! You’re welcome, sir…. certainly glad to help out! Thank for the useful info. I just disassembled mine, it has a Samsung 250GB Spinpoint P120 SN2514N drive. You’re very welcome, Stephane. I hope this tutorial made the disassembly quick and easy for you. Call me stupid, why would anybody want to do this? Reasons may vary but, in my experience, sometimes the connectors/circuit boards fry, and the drives can still be fully usable. In that scenario, they can be transferred to a new housing or used in a drive dock. That certainly may be the reason! Also, this might not pertain to you and you may know this: if, by chance, you formatted the drive with a Mac, the PC won’t see it (unless you’re using a program such as MacDrive), although a Mac will read PC formatting… just a thought, just in case.